SPACES | Homepolish Featured Our Apartment! 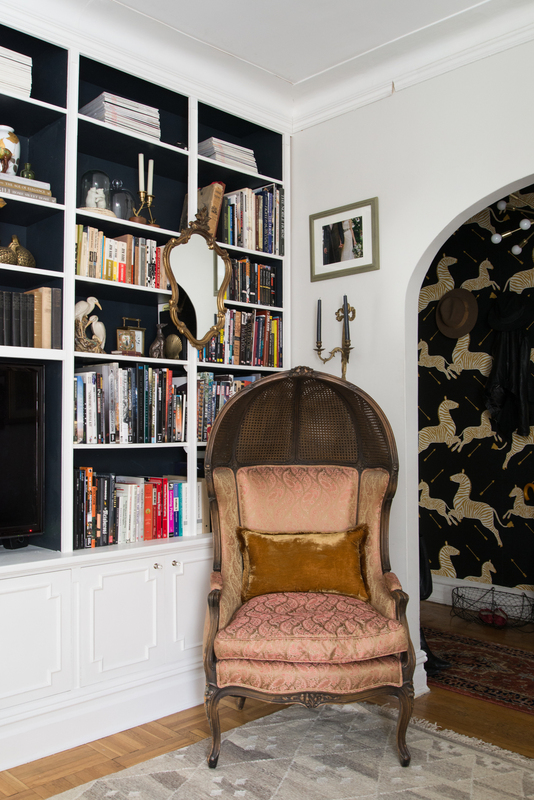 The built-ins were built by Jack / the porter chair is my favorite seat in the home. Back in October I had my apartment photographed by Homepolish's talented photographer Claire Esparros. She spent several hours in my home capturing every nook and cranny, because there are quite a few! We munched on donuts and bonded over being vegetarians. I was excited because this is something I've been working towards for such a long time. I've taken pictures of our home but never had it professionally photographed until now. After 4 years of working on the apartment and documenting it here along the way, I can finally say, it feels 'done'. Which is great because we're now in the midst of moving to Seattle. In less than 3 months the entire home will be packed up a shipped and across the country. It's bittersweet, but I'm very happy to have had the opportunity to properly document it. my favorite gallery wall in the home that holds my favorite prints / that sofa doubles as a guest bed. Old New York. It's a style just as much as it is a feeling. Every once in a while, when walking into a Manhattan space, one is overwhelmed with the sense of history. Dark oak-paneled walls, cheetah-print plush carpets, saturated drapery, and antiqued mirrors. 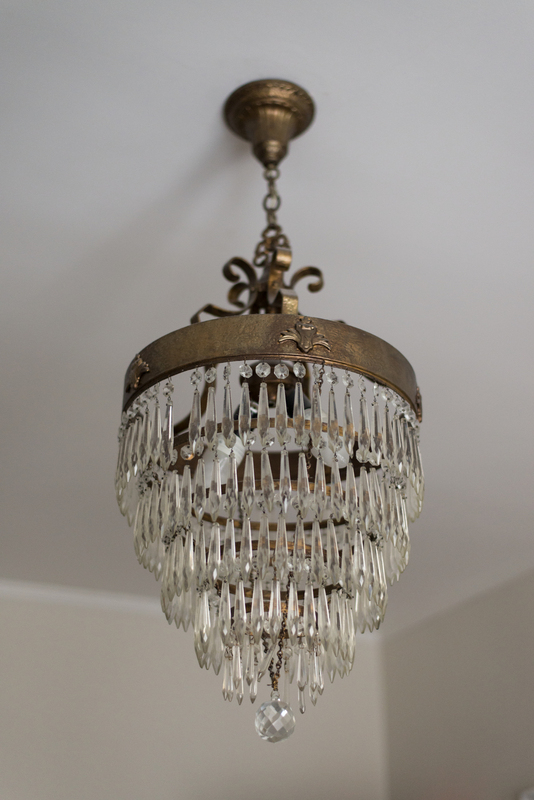 All things bright and beautiful from brass to gold are the accents. It's a sense best captured by those ladies who lived through the 60s and 70s, Upper East Side Mad Women. 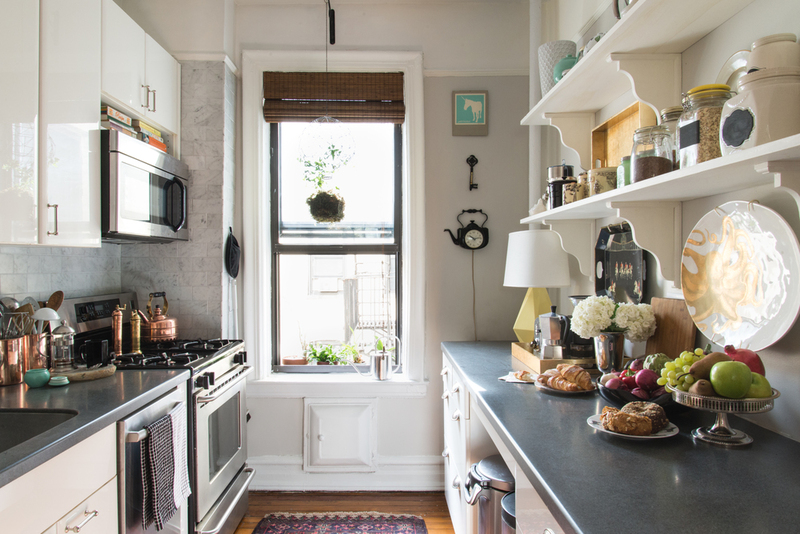 But half a century later and a borough away in Brooklyn, Homepolish designer Lauren Caron has brought that eclectic mix to her 1-bedroom apartment. Reading the that intro written by Homepolish's senior editor Matt Powell, gives me chills. It's funny that I didn't intend to have my apartment feel like Old New York, yet it's definitely a compliment considering I'm in love with all the above mentioned.... My goals for the space were for it to be the perfect mix of old and new, collected and curated, and of course to be a reflection of us. I think back to my interviews with Bergdorf's when who was soon to be my VP asked, "If you could have your dream home in New York, where would it be and what would it look like?" My answer: An apartment that you might find on Park Avenue, filled with treasures, collections and glamour but set in Brooklyn, so it's not too serious. For this home, I think I've accomplished a hint of that, I'd definitely take one or two more bedrooms and perhaps a dining room, though for the most part it's the perfect mix of what I was dreaming of and what was possible. These sorts of projects don't have a start and an end date. Lauren and her husband Jack have lived in the space for four years. 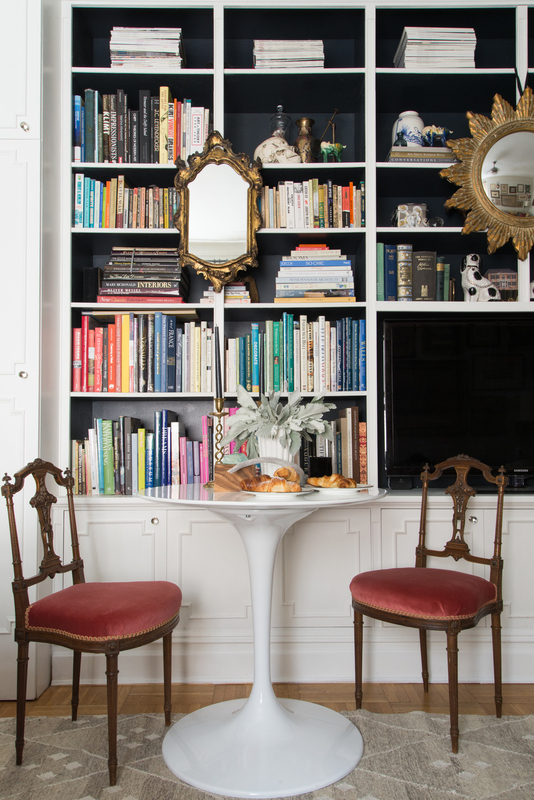 Over time, they have amassed a collection of heirlooms and vintage items to fill what was once an empty, blank room. 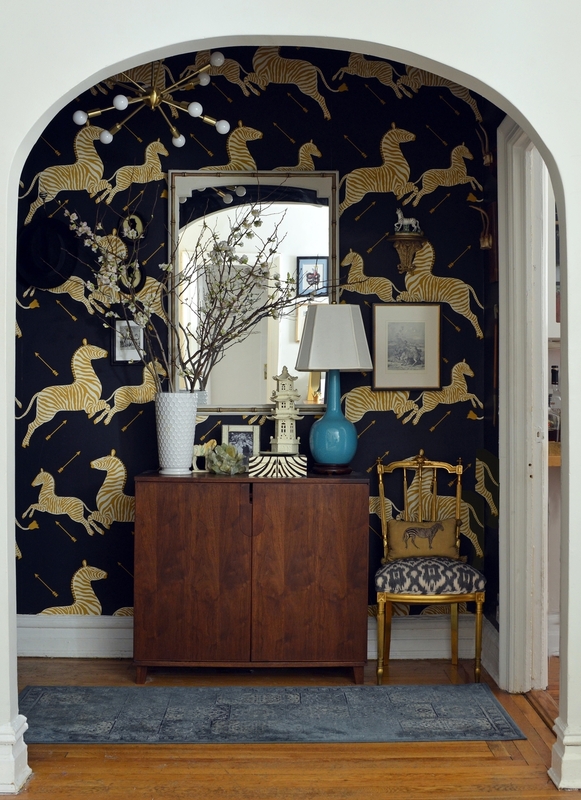 The step back in time begins right upon entry with a wall covered in prancing gilded zebras and arrows. 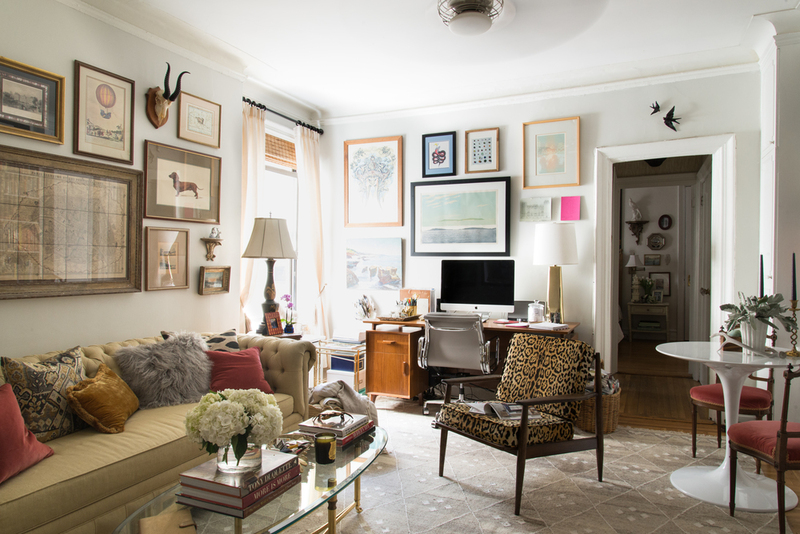 An Indian heritage rug leads you inside to the living room with brass-framed mirrors and a cheetah-upholstered chair. 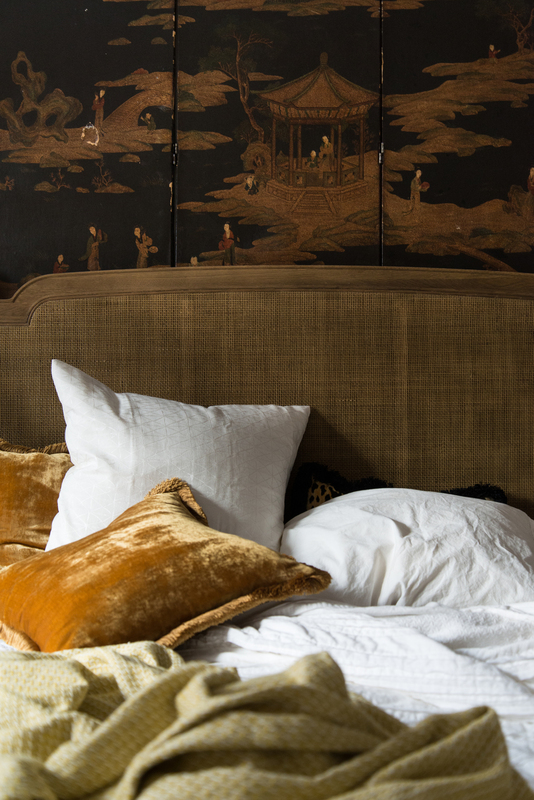 In the kitchen, copper cookware glints a la Julia Child, and farther in the bedroom, a Chinese screen evokes Coco Chanel. It is a perfect reflection of Lauren and Jack, and perhaps of New York life in general. The Scalamandre Zebra wallpaper was so worth it! Max's favorite hang out spot, especially when he know's Jack is on his way home. I originally upholstered this chair in a mod floral print, then I went for the Leopard and never turned back. I recently wrote about how our little table was a late edition. It's the perfect breakfast nook and work space for when my desk is too cluttered. Finding that sideboard has added so much storage to once was a useless bar. A little bit of country influence in the kitchen, and apparently it has a flair of Julia Childs. What a compliment! It'll be a year in March that I've joined the Homepolish team as a contract designer. It's been a fun ride, taking on a couple dozen clients, remote and local, and have had the opportunity to work with some of the most wonderful people! If you have any questions about Homepolish please feel free to ask! If you'd like to read the whole Homepolish feature about our apartment you can [here].